If you're dying for an Apple iPhone but you're stuck on Verizon, I would suggest waiting for a Google Android smartphone. 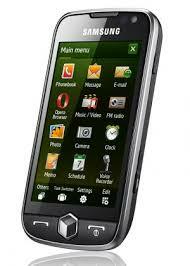 However, if you're more interested in running a variety of medical software, then I would suggest the Samsung Omnia 2. You won't get a hardware QWERTY keyboard, but you'll have a nice multimedia player smartphone.